Welcome to Nantes! The ideal setting for a city break, whatever the season. Whether you are traveling for business or leisure, my entire team is on hand to advise you on the unmissable sights of the city of the Dukes of Brittany. Stay in a perfectly soundproofed room furnished with a cozy bed. 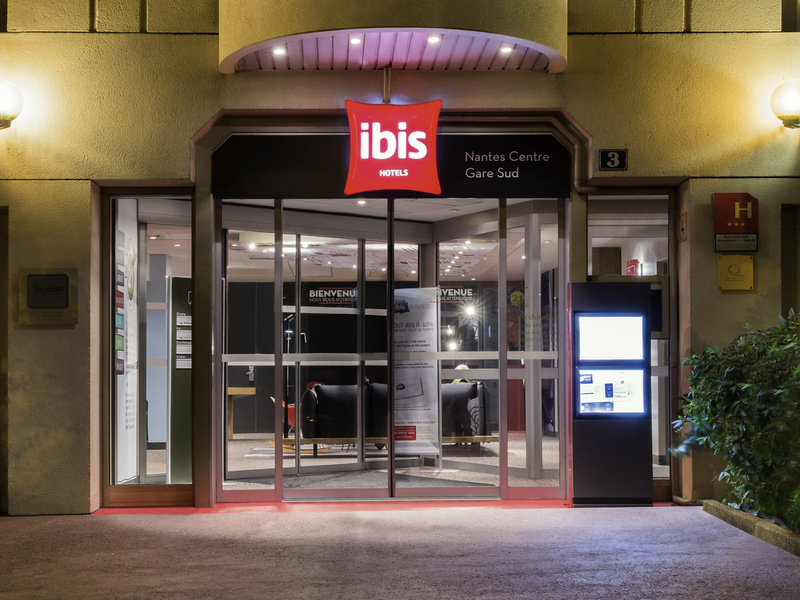 Relax at the bar, dine at the ibis Kitchen restaurant or enjoy a snack at any time of day, all in a contemporary, stylish environment. Leave your car in our private secure parking garage and discover the historic districts and many other amazing locations on foot or by bicycle. Organize your residential seminars and study days at one of our 4 function rooms with free WIFI. Opposite the château, 328 yards from the Cité des Congrès and the Lieu Unique. 20 min from the stade de la Beaujoire by tram.